Are you looking to start taking your long term camping and traveling adventures but you are not sure where to begin looking? Do you want to maintain that home-like feel while still maintaining that rugged, camping lifestyle? If all of this applies to you, then you need to take a step into Ewald Airstream of Wisconsin in Franklin, WI where you can find a plentitude of new Airstreams for sale and used Airstreams for sale. Ewald Airstream has a vast and impressive amount of Airstream campers for sale to ensure that there is a camper for sale in Wisconsin for everyone, no matter if it is just two of you camping together with your significant other or a large family of six, you can find the Airstream for sale that will be able to sleep all of you comfortably and luxuriously. We have everything from an Airstream Bambi for sale, to an Airstream International for sale and everything in between. If what you are looking for in your next camper for sale in Wisconsin is peace and quiet and lovely comfort features. The Airstream International for sale was designed with the camper in mind that are looking for the ultimate experience of camping with all the same amenities of home. The Airstream International features a sleek and aerodynamic design that is sure to turn heads and luxurious interior features that will ease your mind and provide you with tranquility and ease of use. With great features such as the power extending and retractable exterior awning with LED lighting to allow you to sit out under the shade and enjoy the outdoors or at night enjoying your favorite book. The International Airstream camper for sale sleeps up to four people comfortably, offers a full kitchen and full wet bathroom with shower and LED lighting to give you a warm feel, and with a 39 gallon fresh water tank, between a 20 gallon and a 38 gallon gray water tank, as well as between an 18 gallon to 38 gallons black water tank, you will never have to worry about running out of water on your adventures. 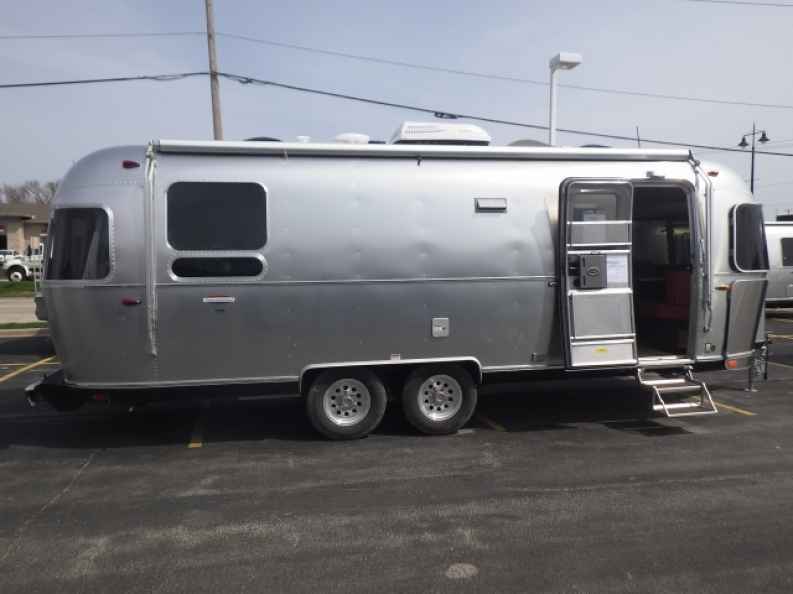 The Airstream International camper for sale in Wisconsin offers a stylish design that allows it to tow with ease down the road with minimal drag. 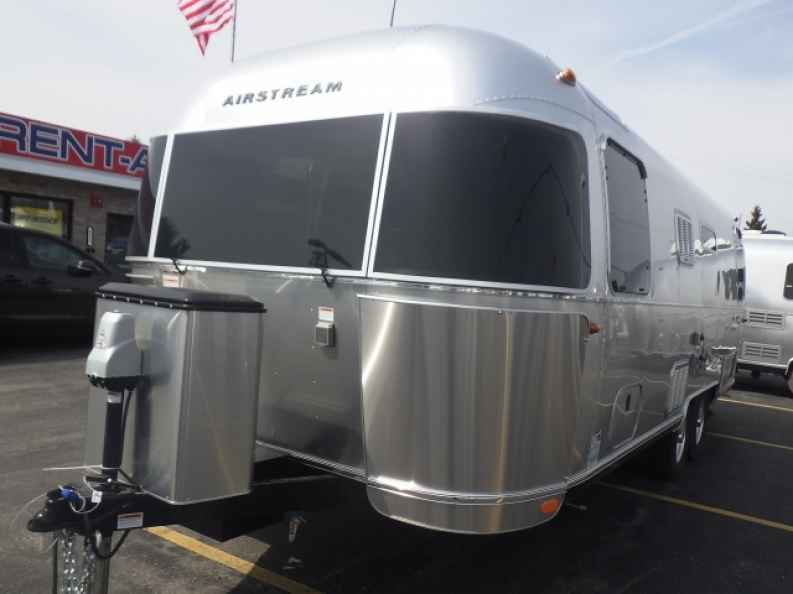 Come to your local Airstream dealer in Wisconsin and see the serene and unwinding International Serenity for sale in Franklin Wisconsin. Ewald’s Airstream of Wisconsin is at 6319 S 108th St in Franklin WI 53132.